WWE Evolution takes place this Sunday, October 28th 2018. SOrry I’m a bit late with the tips but luckily the smart money hasn’t come in yet. 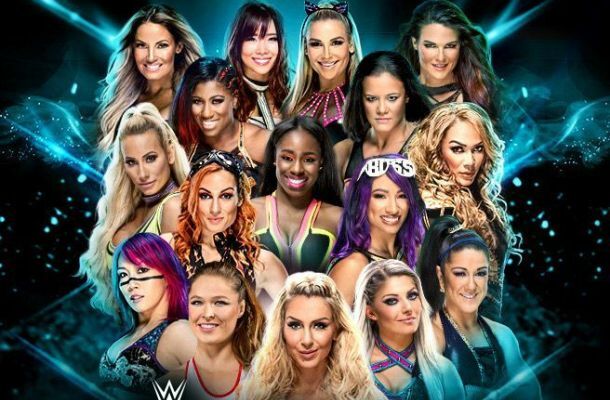 It’s the first ever WWE pay per view which only features women and it’s got quite the interesting card. A lot of the women were upset that instead of getting their own match, they were all chucked into the battle royal but either way including that we still have 8 matches and it should be interesting. Ronda Rousey tops the card as she defends her WWE RAW Women’s Championship against Nikki Bella. Becky Lynch goes up against Charlotte in a Last Woman Standing match, and we’ve got the 2018 Mae Young Classic tournament finals as well as two NXT title matches. This should be a solid show wrestling wise and it’s a real breath of fresh air. Regardless of how it all goes down I love WWE for doing something different. Womens Battle Royal: Will do a 1/4u on Nia Jax at +500 odds under the Andre rule. Ronda Rousey (-900) vs Nikki Bella (+500): No bet here Ronda gotta go over. Becky Lynch (-230) vs Charlotte Flair (+170): This is a tough one. Charlotte is often worth a bet but they shouldn’t take the title off Becky. Begrudingly I’ll bet 1/4u. Kairi Sane (-365) vs Shayna Baszler (+255): I think Baszler isn’t the worst bet in the world at this price. 1/4u bet. Toni Storm (-300) vs Io Shirai (+220): Storm surely wins. Not advising any bets. Trish Stratus/Lita (-395) vs Alexa Bliss/Mickie James (+275): This is a tough one as I keep seeing different rumours. Alexa might be out, the legends might be sticking around etc. Going to stay away. Banks/Bayley/Natalya (-210) vs The Riott Squad (+160): Team Sasha is quite good value here. This just feels like the type of opening match that the faces win to get the crowd going. I’ll be backing this one for 1/2 a unit.